Sunshine Through the Rain: Cheerleaders needed! Well here goes for Quarter 2. I am feeling rather stressed out about how much sewing I want to get done in the next couple of months, but there's nothing like deadlines to make me work more efficiently and friends to cheer me on! 1. Central Park quilt. This needs a border, then quilting and binding. 3. Children at Play quilt. I keep changing my mind for a pattern for this. I am now thinking of Liz's Super Simple Baby quilt 3 design. 4. Madhuri quilt. For my parents. I have the fabric and the pattern (Quilt-it today Roundabout) and just need to get a move on with this one! 5. Cushion covers. These need to be quilted and made into covers! 6. Two zipper pouches for friends leaving Indonesia. 7 and 8. Teacher presents: A tote bag and a cushion cover. The boys are helping me to make these so they should be fun projects. The Madhuri Roundabout quilt is going to be beautiful Thank you for the link to Quilt-it, I hadn't seen it yet. You're going to be busy sewing. Good luck. What a wonderful parade of projects! Yay!! You can do it!!! Now go and get sewing!! 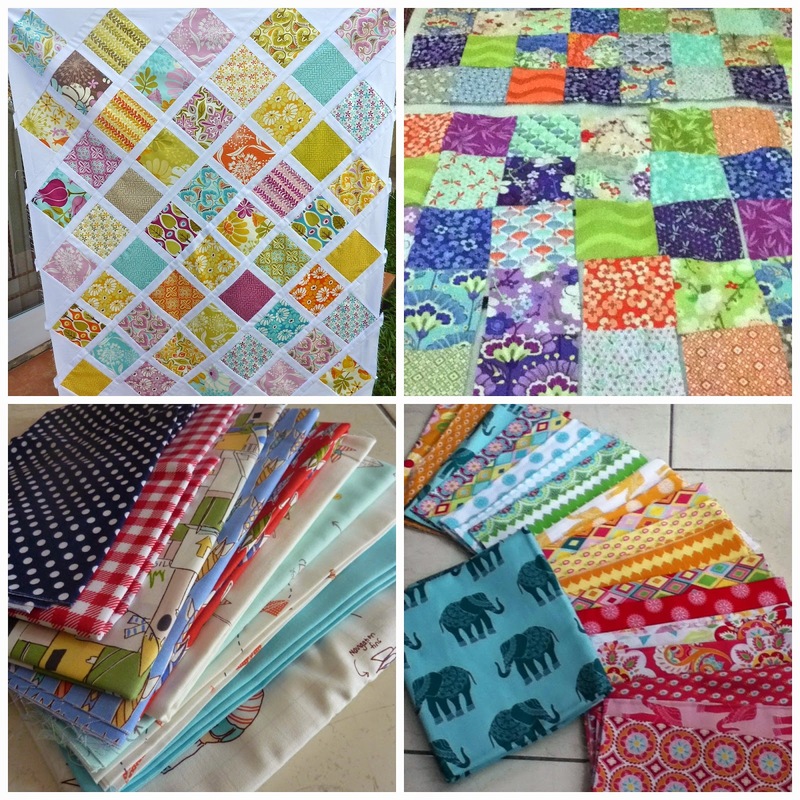 Love all these fabrics, completely my kind of choices! I love your Central Park quilt! Good luck, it's a fabulous list. you look just as busy as I am! Not much then! Wow, what a mix. These are all so pretty; it will be fun to see them progress and finish!!! You can do it! 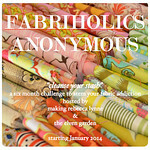 Such a happy lot of fabrics and projects! Cheering you on from Perth! I agree! The Madhuri is going to be a beauty! Good luck and cheerleading from the sidelines! Oooh, fun! And I love Good Fortune. You've got some lovelies! Good luck! You can do it!!! I remember you didn't think you'd finish that Pantone quilt and then it was done even before I could blink. It might work for the Children at Play quilt and it looks like it would be a lot faster. I have it bookmarked because I plan to use the tutorial some day. Lot's going on and you finished 5 and 6 already! I can't wait to see your parents quilt, I love that fabric, but always wondered how to use it, I like the pattern you have picked out for it. Have fun sewing.